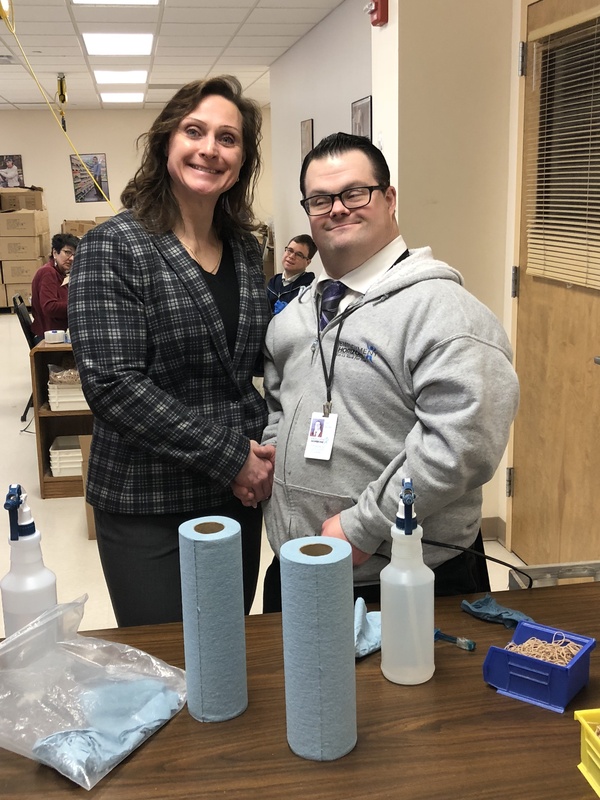 Freeholder Heather Darling and Commissioner of NJ Department of Labor Robert Asaro-Angelo visit Employment Horizons in March. 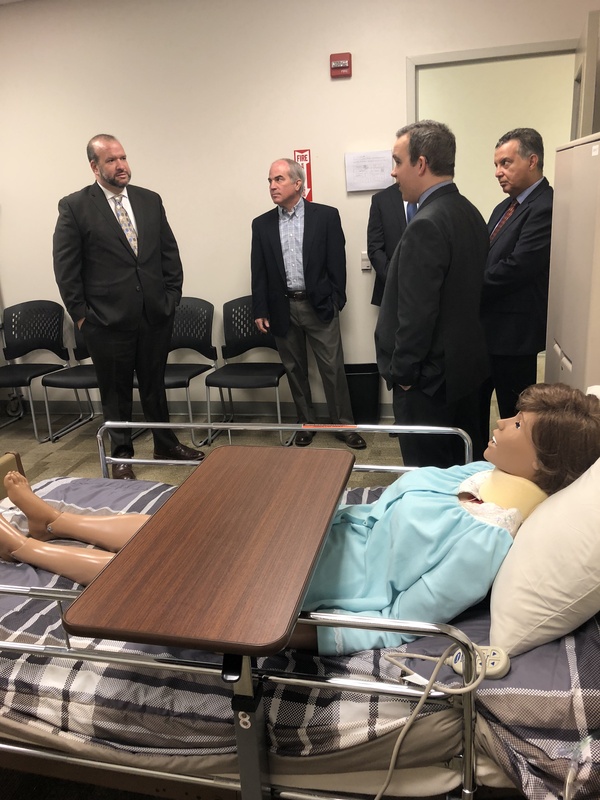 The next day, Matthew Putts hosted a meeting with ACCSES NJ, the NJ Division of Vocational Rehabilitation Services, and the Department of Labor & Workforce Development. A group including Labor & Workforce Development Commissioner Robert Asaro-Angelo toured the fulfillment center and met various staff members and program participants. Following the tour, the group discussed the importance of organizations like Employment Horizons, the funding of such programs, and navigating the various issues organizations face in order to make sure that everyone who wants to work has the opportunity and supports to do so. Employment Horizons is very grateful to have hosted two special visitors last week. Thank you so much to Freeholder Heather Darling and Commissioner Robert Asaro-Angelo for taking the time to come to the facility and meet the hardworking people here.